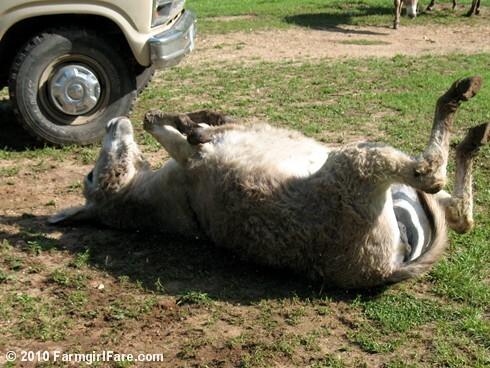 Want to see more donkey doings? © Copyright 2010 FarmgirlFare.com, the dirt covered foodie farm blog where it looks like Daphne is indeed pregnant—and hopefully young Esmeralda is just fat. Precious! I showed this to my husband...we both sat here smiling! Great way to start the day! 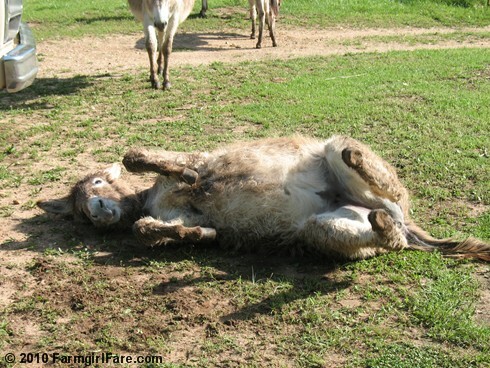 I love the donkeys. They always seem so uninhibited, so carefree. Ha Ha! Looks like Dolores was taking a sun bath or a nap in the sun for a while there. Tee hee. 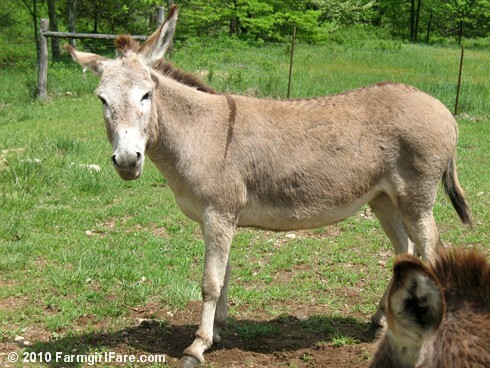 Your donks are adorable and love the coloring. Do you trim their hooves or have a farrier? 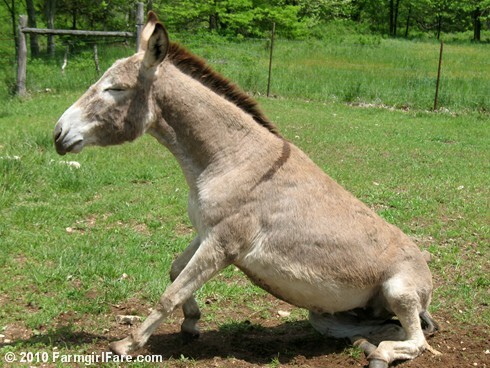 We have trouble finding farriers to work on donkeys. So glad you enjoyed these photos. Thanks for taking the time to write. Ha, thanks for the laugh. We have a farrier trim the donkeys' hooves - I draw the line at trimming sheeps' hooves. 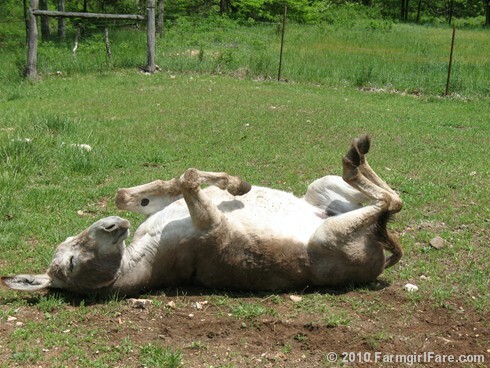 In fact, I have a desperate call in to the farrier right now. 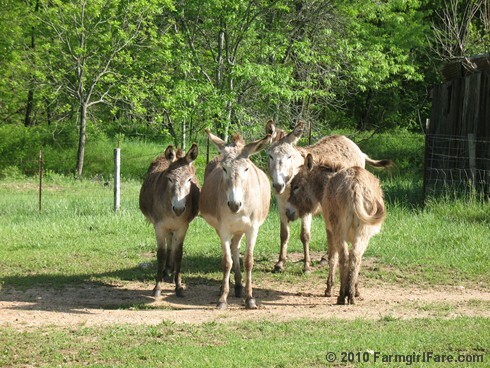 After spending six weeks living in the grassy sandfield and no clomping around in the rocky creekbed or the gravel driveway (except when they keep escaping), The Donkettes' hooves have become quickly overgrown!